Second attempt at the lino printing, it's not as easy as it looks you know! I used acrylic paint combined with a block printing medium. 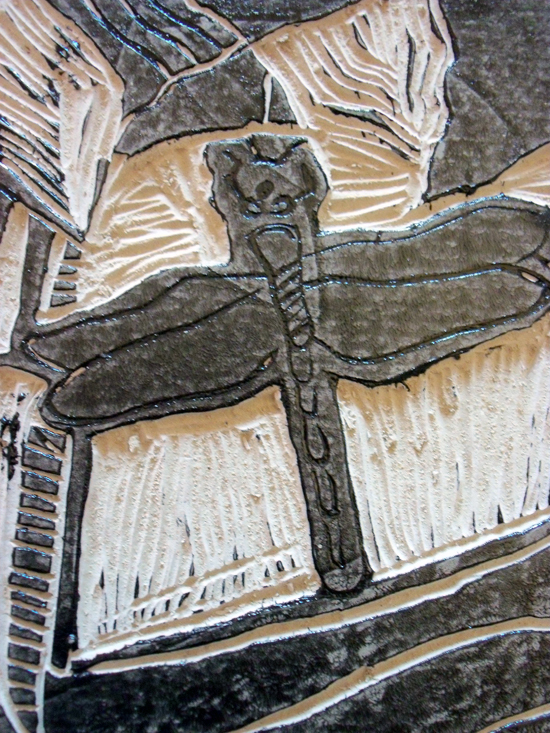 The medium stops the acrylic from drying out and it certainly seemed to do the trick. 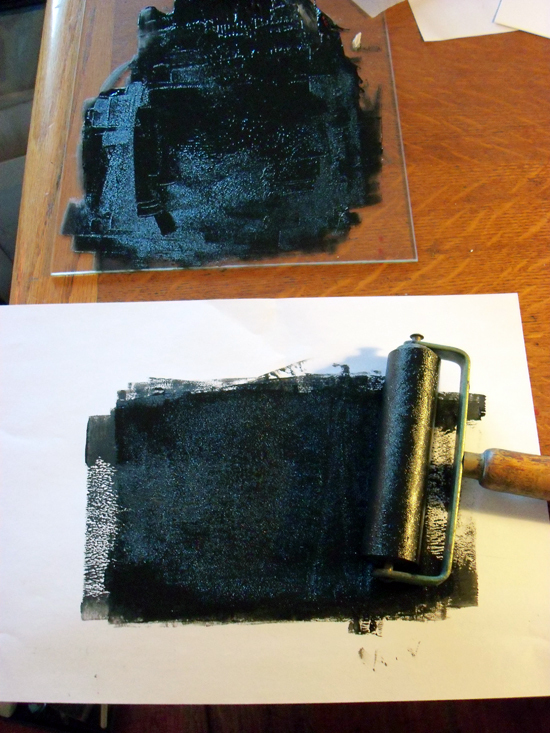 Apparently the ink is supposed to be rolled out on glass, not sure why that it is - something to do with texture flatness of it? 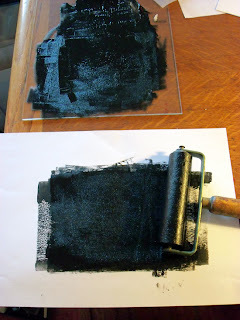 I've used paper as well to get rid of some of the excess ink. 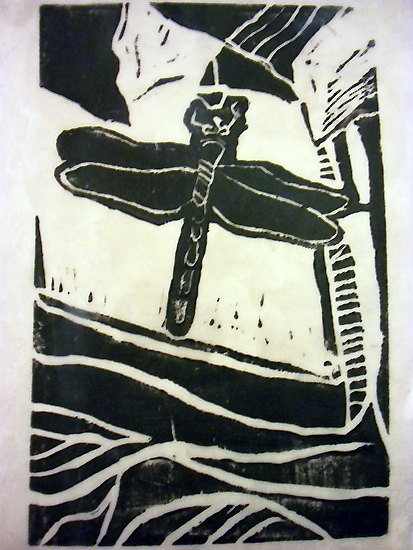 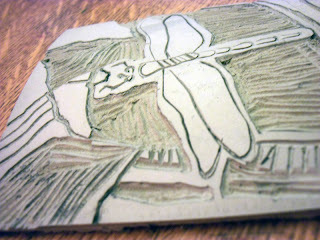 The Dragonfly lino after I have carved into it.